Two Wings, Many Prayers, the story about two crazy guys from Joburg who designed and built their own light aircraft and flew it around the world, scooped up two awards at this year’s Roscar Awards, which took place at the Sibaya World of Entertainment in Durban last night. 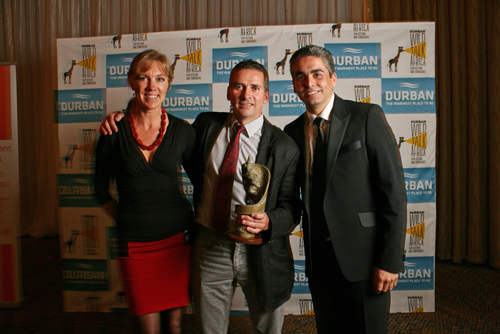 Saving Rhino Phila, which looks at a new breed of poachers that have declared war on South Africa's billion-dollar rhino trade, won the coveted environmental award at the event, which was attended by the Mayor of Durban, Councilor James Nxumalo and a number of filmmakers and broadcast experts from across the world. 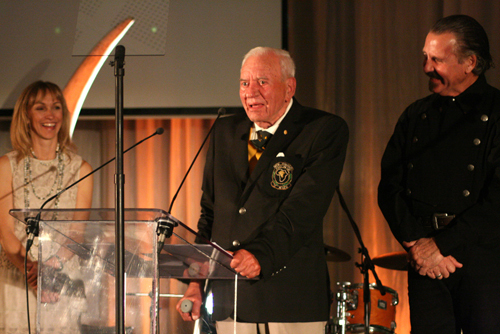 Conservationist Dr Ian Player received a lifetime achievement award at the red carpet event; world-renowned for fighting to save the white rhino from extinction, he highlighted South Africa’s rhino poaching problem during his acceptance speech. 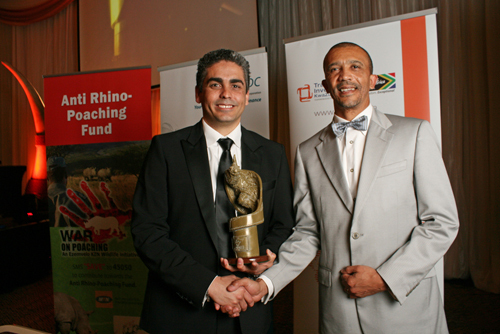 Affectionately known as the Rhino Oscars, the event forms part of Wild Talk Africa, the largest international wildlife and natural history film festival and conference in Africa. “The standard and quality of this year’s submissions proves that natural history and wildlife is a growing genre,” Director of Wild Talk Africa, Donfrey Meyer said. A record breaking 445 Roscar entries from 32 countries were received this year; almost double the amount from entries received in 2011. Africa, a seven part wildlife series, co-produced by BBC Bristol and Discovery Channel, walked away with the best cinematography and series awards. Fifty tons of camera equipment, traversed across 27 countries and 6 500 malaria tablets later, the seven part wildlife series, co-produced by BBC Bristol and Discovery Channel, boasts never-been-seen footage of Africa’s greatest and smallest wonders. James Honeyborne, the series producer of Africa, flew in from Bristol in the UK to accept the award. Other Roscar Award winners include; A Wild Dogs Tale (Table Mountain Films), best editing, Where the Wild Things Were (Amber Eames), limited budget, The Green Universe (Doclights GmbH / NDR Naturfilm), best music, Amazing Grace, (Makhulu) short film and best campaign award, The Fir Tree (Lars Ostenfeld Film), best sound, Natural World: Queen of the Savannah (BBC Natural History Unit), best script, Bikpela Bagarap, Big Damage (David Fedele), best new comer and Lucy Cooke; Freaks and Creeps (National Geographic Television), best presenter. Two Wings, Many Prayers and Saving Rhino Phila were produced in South Africa by Sabido Productions and NHU Africa respectively. “The judges had a monumental task ahead of them in terms of deciding the final winners per category,” Meyer said of the judging process, which took place at the luxurious Hluhluwe-Umfolozi game park. 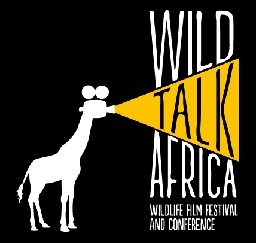 Wild Talk Africa, alongside Wildscreen in the UK and Jackson Hole in the States, has firmly established itself as one of the top three natural history film festivals in the world. Strongly focused on wildlife, conservation and cultural programming, the four-day festival and conference included seminars led by key figures in the international broadcast industry. Nine of the Roscar entries were screened to the public during the Durban International Film Festival, as part of the city’s greater vision to build Durban’s “golden mile” as a hub for film market activity in the month of July, similar to what Cannes is to Europe. “Combined with the continent’s two major film festivals, the Durban International Film Festival and the Durban Filmmart, Wild Talk Africa firms up a truly strong film industry package for visitors, both local and international,” Head of Durban Tourism Philip Sithole said. Check out the Wild Talk Africa website! Congratulations to all the winners from Wildlife-film.com... 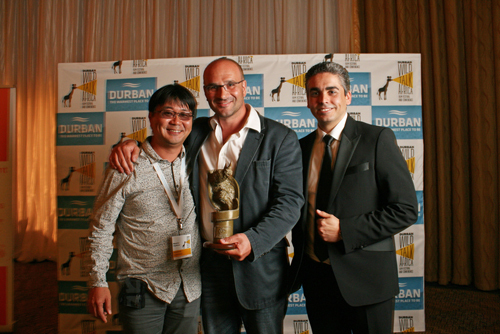 Particularly our members, NHU Africa for Saving Rhino Phila and Table Mountain Films for A Wild Dogs Tale, Richard Matthews would've been so happy!